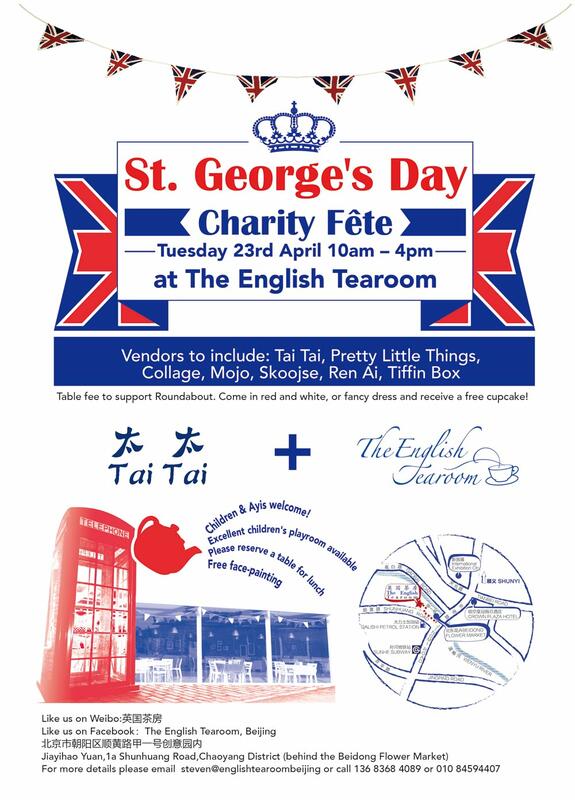 For a jolly good day out please do come along to this charity fete and English tea event being held at ” The English Tearoom “. There will be loads of fantastic vendors selling their delightful goods, delicious bites to eat and a fun atmosphere for all. Proceeds from the day will be donated to Roundabout who will be thrilled to use the money to sponsor school fees for children from poor backgrounds. Also….from 1pm, at the request of the organisers, Leslie from Roundabout will be at the event proudly showing off her recently awarded OBE medal which she received for services to charity and philanthropy in China. The honour was presented to her 2 weeks ago by HRH Queen Elizabeth II.